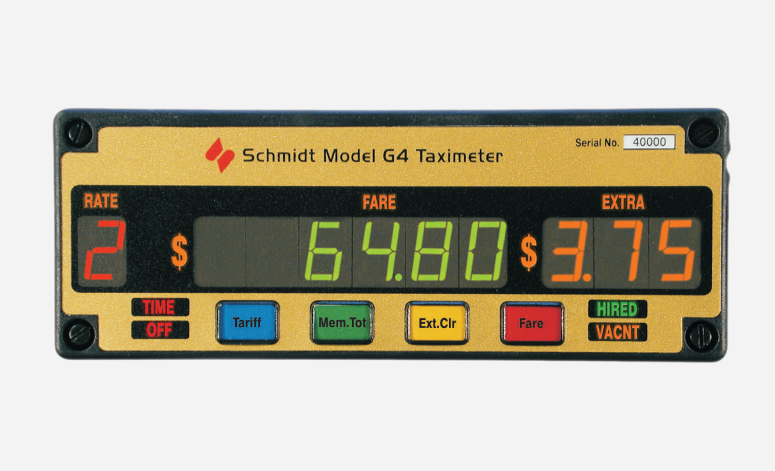 The Schmidt G5 Taximeter is the first interactive taximeter ever developed. 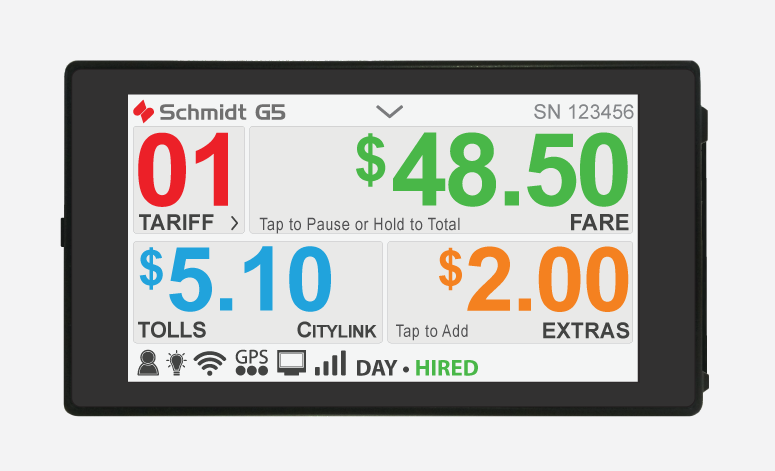 Connects with the G5 Taximeter to eliminate off-meter fares, earning you more money. 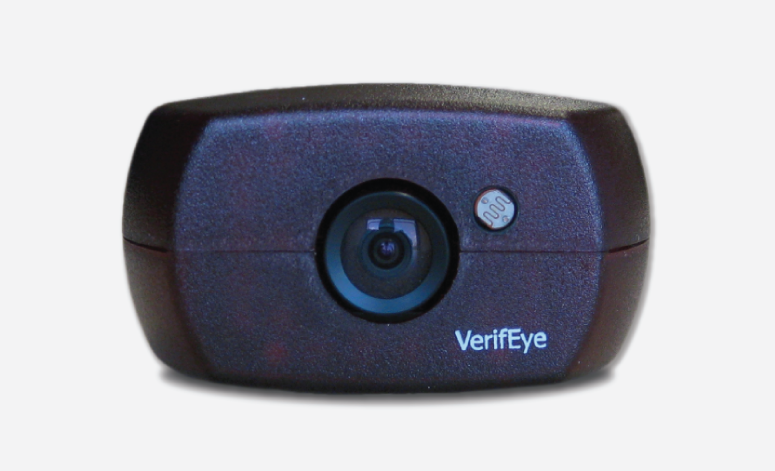 Highly accurate, reliable and secure. It is ultra thin and ultra light, and has a strong, rugged build. 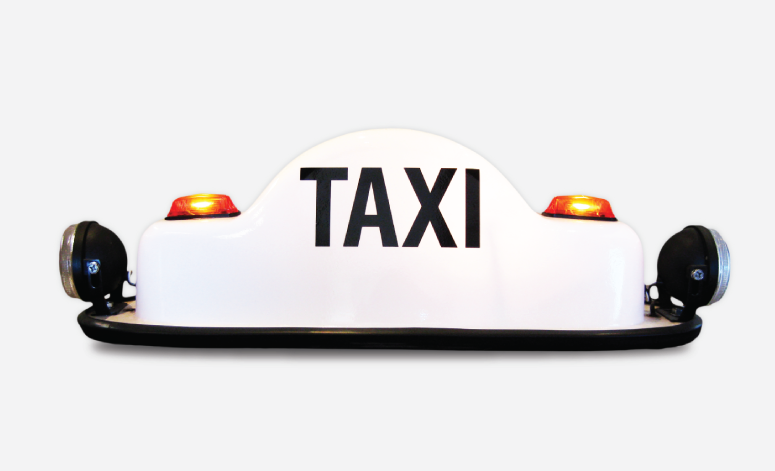 Meets all safety camera specifications, in all mandated taxi markets, in AU, US, Europe and the Middle-East. 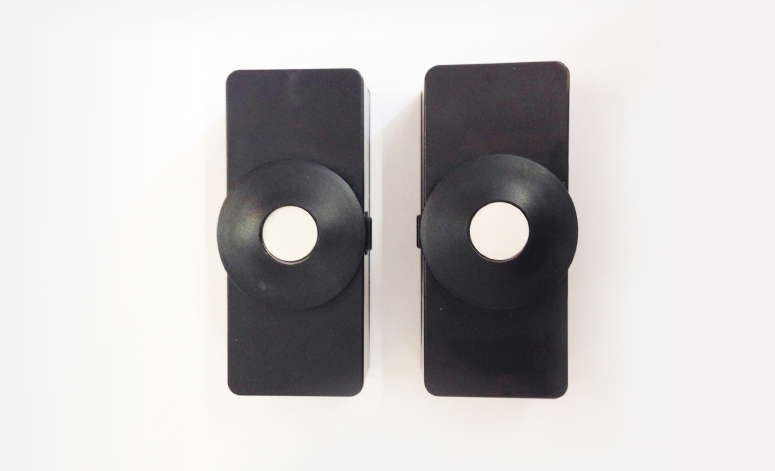 Our Roof lights are tough, water resistant and rust resistant and come in standard and custom models. 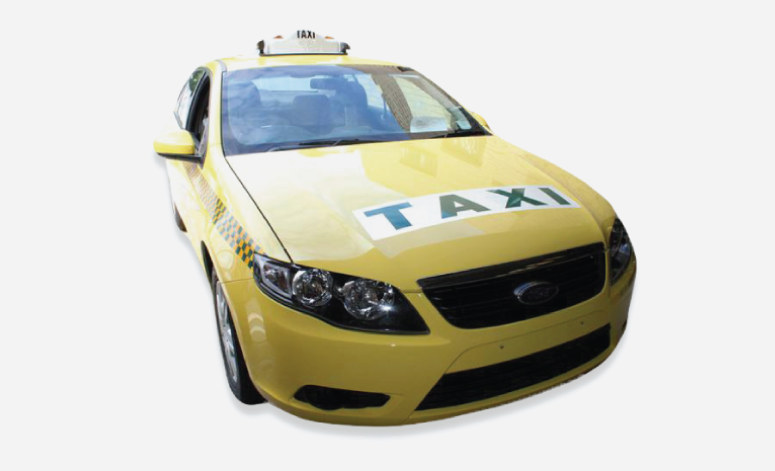 We offers complete taxi installation services for all vehicle types.